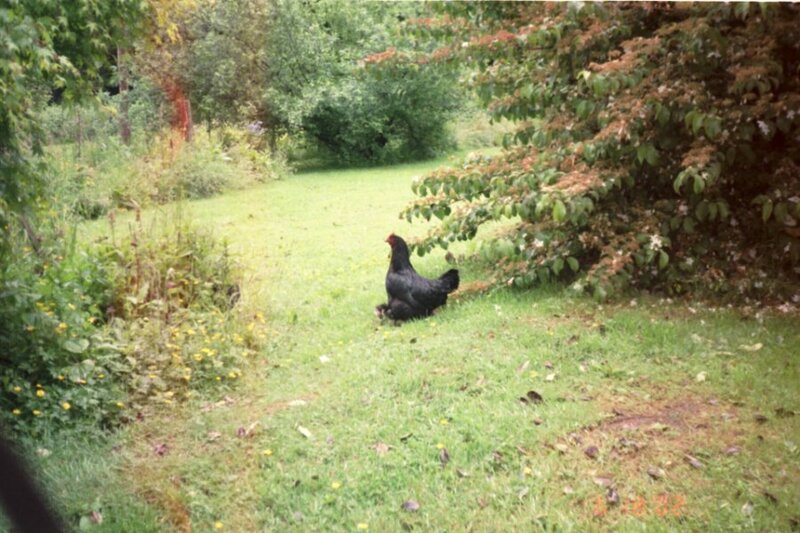 Chickens on the roam… free range! We did have a 60 acre yard to hike on play and explore. One thing we did do was raise chickens. Our chickens were truely free range chickens. My kids were young when we raised these chickens. We have memories of getting up early in the morning rain or shine and opening the coup to let them out. Scratching (feeding them corn scratch) the chickens. Every spring we would watch for the first hen to sit. Then the counting of days would start. In 21 days new chicks. I remember the first day I discovered a piping chick. (The first break in the egg) It was a very warm day and I had stepped into the coup to check on the nests for eggs. I heard a very faint peep peep. The hen had jumped off the nest to get water and eat. I stepped over to the nest to see a little hole in one of the eggs. I watch a little beak break more of the shell. The peep-peep became louder, momma hen came back to the nest and popped up on top and covered her eggs. As she settled down on the eggs another faint peep-peep came from under her. The next morning she had 3 chicks under her healthy and strong. Once again the count is on. Three days from the first pip momma leaves the nest. Time to get the chicks feeding on bugs and grass and drinking water. The third morning we discovered a little chick on the ground outside of the nest and an egg in the nest with a pip hole . My daughter scooped up the chick, cold as ice, cuddled it against her body, warming the chick. I picked up the last egg and into the house we went. 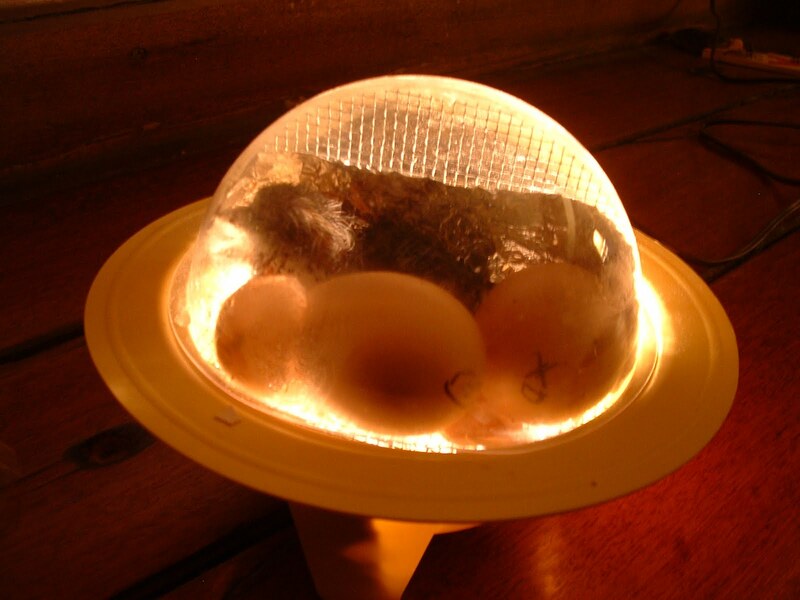 I had purchased a cheap kids incubator that held 3 eggs. Into the incubator the egg went. My daughter still holding the chick, watched with anticipation “will it live mom?” responding” I don’t know , we’ll just have to see”. Within minute the chick she held started with a weak peep. As the chick warmed, with her body heat, the peep became louder. within ten minutes she held a stong little chick. Into a box in the kitchen with a heat lamp warming the chick. Hours later, my daughter checking every 20 minutes or more, the chick in the incubator was free from the shell and standing strong. Into the box with its brood mate. That evening after the chickens were all in the coop bedded down, we put the 2 chicks under mom so the bonding could take place. The next morning after letting the chickens out of the coop the 2 chicks that we saved were following mom strong and healthy. 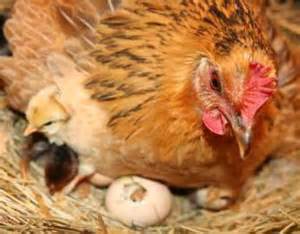 With every new sitting’ hen, my daughter would watch for the hen to leave the nest with her new brood. After 5 years of chicks my daughter only lost two chick. (My daughter was 2 when she started saving these chicks). What a lesson in life and death. These are the precious memories made on your own land. These are the experiences that form a person’s character. These are the observations in life that give a person wisdom. Life’s lessons are learned on the rugged exterior of a home not the interior of a cell phone.